There are many principles and beliefs that we as tennis coaches have about how to teach, what to teach and how to develop players. Below are 3 important philosophies that I have developed as a coach and as Director of Coaching at Scarborough Tennis Academy are principles behind the program. How I developed my philosophy……..
After high school finished, I had a gap year where I worked part time and played tennis most day’s before going the following year to the USA for 1 year of playing college tennis in North Carolina. I came back to Adelaide and did 6 more months of a marketing degree before I happily dropped out of tertiary study and moved to Darwin to take on a fulltime job as a tennis coach at Gardens Tennis Complex. My main concern was to learn more about how to coach from other coaches I worked with and for my pupils, my priority was to ensure that they were happy. So in that first year or so of coaching tennis in Darwin, my philosophy was to make sure that they enjoyed the lesson and improved their shots. 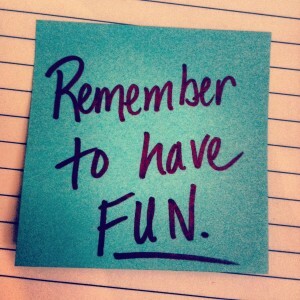 I did this with enthusiasm and energy and it worked and most of them enjoyed it and kept coming back. My coaching had quickly adapted to a more modern game sense based coaching in my lessons but I still had a lack of coach education and where I looked for a forehand that can follow through, I didn’t look for why are you playing that forehand ? and where do they want the forehand to go ? I guess you could say I was fixated on the look of the shot and not the wholistic view of playing the game, learning strategies and developing positive habits and leadership through tennis. After a few more years of full time coaching along with doing further tennis coach education, my knowledge was expanding and my philosophy started to get a more competitive edge. Kids that I coached were getting pretty good at tennis and playing tournaments and finding bits of success. I realised that kids are really very fragile and the pressure of tournaments, parents and peers, hits kids mentally and emotionally far harder than most people realise. As a coach I had high expectation and a very positive coaching environment but a whole new set of goals and challenges presented themselves. Some of my better level kids were destroying their matches and tournaments with losses of emotional control sometimes resulting in lack of effort and embarrassment for themselves and others at the match. So my philosophy had to develop with new priorities for the player. The player has certain areas that they have full control of which does not include whether they win or not. If they focused on getting those areas of control under control, then they give themselves the best chance to perform well. Those areas under their control, I held them to it and kept them as accountable as they can. 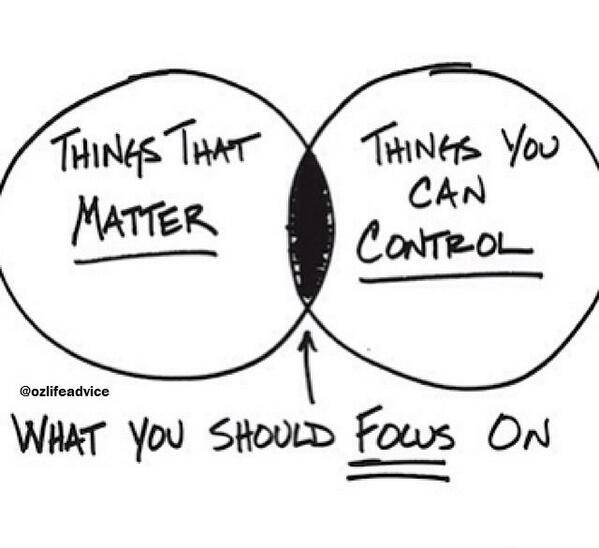 The focus become on the process not the outcome. These include areas such as routines, emotional control and effort and I developed an aid called The Triangle of Control. So the results in themselves became a lower priority. A player can win and not continue to developed their routines, emotional control and show maximum effort at times. A player can also lose and show positive signs in these controllables, setting them up to improve their game and be ready for the next match. Through these times, I learn alot about myself as a player. Although always a competitor, I knew that I had lost many matches over the years from not keeping control of my head! I had learnt how to apply the routines and emotional control to my game and it changed the way I approached matches. I had always read, watched and learned whatever i could on tennis coaching but not so much on coaches and coaching philosophy and wisdom. I started researching great coaches such as Vince Lombardi the great NFL coach, John Wooden and Phil Jackson, the basketball coach legends and many others from a range of sports. I learnt that it doesn’t matter what sport you are involved in, there are fundamentals of learning and coaching, that apply to everything. 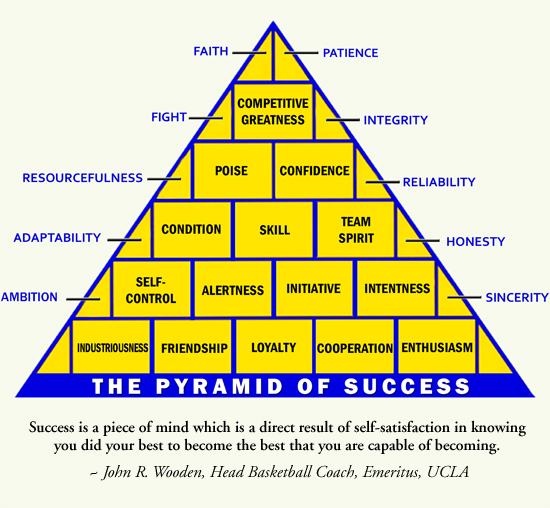 One of the great College Basketball Coaches, John Wooden, created his own Pyramid of Success below which I fully endorse. So my third most important coaching philosophy below is stolen from John Wooden. Philosophy III – Success is a piece of mind which is a direct result of the self satisfaction in knowing that you did your best to become the best that you are capable of becoming. My philosophy will continue to evolve and the potential impact that as coaches we have on our pupils is mind blowing. If we do coaching well, we can teach character, leadership and tennis skills at the same time.